Abstract: AI is accelerating innovation in several industries and healthcare presents one of the biggest opportunities for new solutions. However, the healthcare domain also poses unique challenges. Data comes in myriad formats, is noisy and rarely labeled. Use cases may require mixing data-driven approaches with those that leverage expert domain knowledge. Few situations enable direct application of familiar machine learning methods but instead require inventive approaches of discriminant analysis and/or ensemble methods. There is also a high bar for evaluation, integration, and operationalizing of AI solutions in clinical settings. This workshop will begin with the business implications of using AI in healthcare including current trends and use cases. We will then demonstrate a number of AI applications in production today. The technical portion will provide an interactive walkthrough of applying AI to healthcare data with live coding. We’ll conclude by covering the requirements for operationalizing an AI solution including the technical architecture necessary for deploying in the wild. 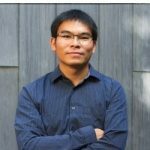 Bio: Zhixiang is an applied data scientist at Wolters Kluwer Health, a global leader to provide healthcare information services. He brings his expertise in machine learning and modeling to solve the most challenging problems in healthcare, with a strong belief in the AI revolution to free human’s minds. Before Wolters Kluwer, he has worked in biotech and oil industry. He got his Ph.D. in physics from UNC Chapel Hill and had a dozen publications and three patent applications.